Receive a weekly Spiritual, Moral, Social and Cultural focused ppt, created around a keyword and incorporating recent news and calendar events. This tutorial/assembly ppt will be sent directly to your email each Thursday evening, for delivery in the following week. Chose either secondary (yrs 7-13) or primary (yrs 5-6),versions, or both. “The SMSC4SCHOOLS Thought for the Week powerpoints are engaging, accessible and stimulating. 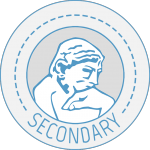 They provide excellent opportunities for students to examine SMSC themes whilst being linked to current affairs and literacy.” Deputy Head, Harwich and Dovercourt High School. 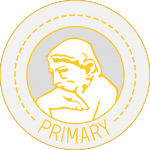 Annual subscription to secondary or primary Thought for the Week is £245.00 per year. Annual subscription to both is £295.00 per year. It’s EASY to subscribe. Simply email admin@smsc4schools.co.uk and let me know you would like to start receiving a free trial of these weekly presentations. After 3-weeks, I’ll ask you if you’ d like to subscribe or not.